While I was praying my morning prayers, I said to the Lord, ‘I offer you all my petitions and especially today, I offer you the soul of Stephen Hawkins.” I knew that during his life he had denied the existence of God, but he also may have done some good in his life, so I offered him up to the Lord. The next morning, while I was praying my morning prayers, the angel of the Lord appeared. “By writing his book and distributing it around the world, he was telling people that God does not exist. He polluted the whole world by denying God, and this is the worst thing that anybody could do,” said the angel. I understood that I was not to pray for him, since he offended God so much, no prayer could touch him. He will have to wait until the end of the world, at the Universal Judgement, to be judged by God. He now knows that God does exist. As the angel was explaining all of this to me, in a vision he was showing me, where Stephen was now. I could see him all curled up and lying in total darkness and confined to a very small space, enough for him to fit in. He now realises that God Almighty exists, but there is nothing he can do to change things. Looking at him, I felt very sorry for him, but there was nothing that could be done for him. As we now come close to the month of November, which is dedicated to the Holy Souls, it is also a time when I experience much deeper and more severe physical suffering all over my body. We suddenly found ourselves in a place where there were so many souls. I was amazed. It was enormous. It felt like the whole world was there. I could see millions and millions of souls. I have never seen anything like this before. There was a mixture of people, including many children of school age. “Oh!” I said, “I see,” still a little puzzled. Lord Jesus was dressed in conventional clothing, in trousers and a shirt, with a trimmed beard and short brown hair, so of course they could not recognise Him. I said, Oh yes! Looking at Him a little confused I was thinking to myself; I have a brother Tony and a brother Alojs, and I have another brother who is My Lord. He said, “I love you.” Then He kissed me on the cheek. In gratitude to our Lord, I kissed Him back on His cheek. I really felt that He is my Brother. I felt such an intimate appreciation of what He just said. Never before, have I seen so many souls in one place. It felt like the whole world was there. 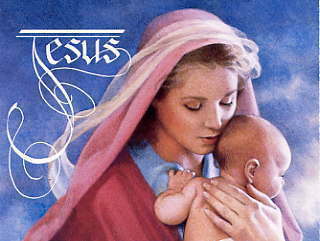 Our Lord Jesus loves each individual person, so deeply and so intimately. When He embraces you in His Holy presence, you really know and feel that you belong entirely to Him. He loves you so deeply that you think you are the only person in the world, but this is for every person that He loves and that He embraces. Amongst the multitude of souls that were present, I recognised quite a few souls there, whom I knew while they were alive on earth. Lord I thank you for all the Graces and explanations. 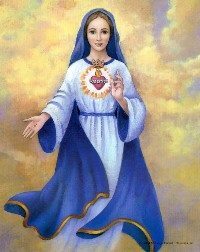 Have Mercy on us and on all the Holy Souls. Lo and Behold! 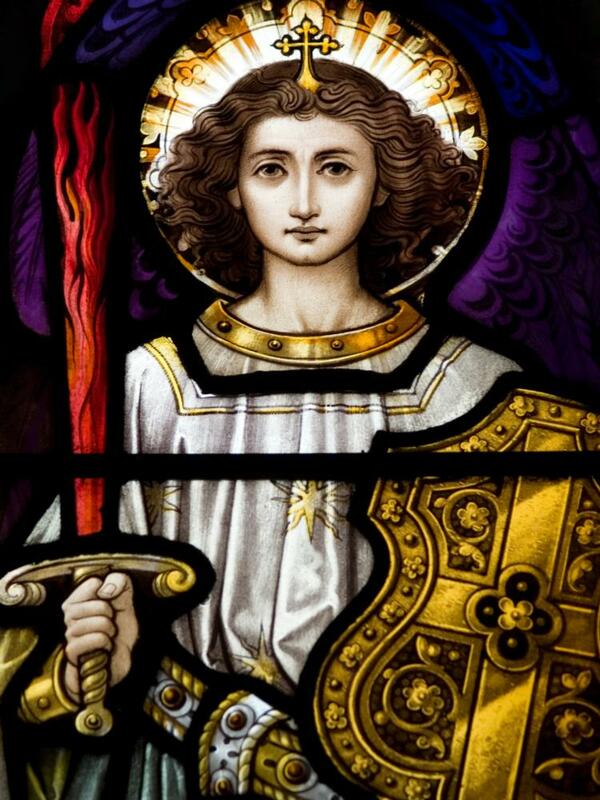 I Michael the Archangel come to you today with a very powerful message to the People of the United States of America! Those of you who have been followers of the Messages from Heaven that have been received by this son are aware that we have been warning of dire events to come to this country if the people do not repent and return to the ways of the Lord! Now it is time to recognize your destiny as a nation if you do not return to God through the Redeemer, the Son, who is with you now to protect your lands and shores from the invasions that are to come from without as well as from within. You see, the evil one, my enemy in the Eternal World, is forcing his evil ways upon your country now more than ever before. He has divided your people so that the chaff of humanity is blindly following his evil ways while the wheat of humanity, many of the sons and daughters of Your Lord and Saviour Jesus Christ, are not being guided in what you need to do in these times to save your country, as well as all of humanity, from the grip of the evil one. Your nation is being divided in order to create chaos and confusion to allow the evil one and his minions to enforce their plans to destroy your nation as a God-fearing and righteous nation, as the Father in Heaven has intended it. You are well aware now of the evil one and his minions and their actions recently to do whatever is in their evil nature to attack those of you who are standing by the Lord and Saviour. You are all being attacked viciously now, but your leaders, in particular, are the subject of the evil one’s attacks, because the evil one knows that humanity is at a pivotal position where all that is good can be destroyed, if the evil one and his minions have their way. This is a time for all of God’s children to be involved as Powerful Prayerful Warriors as well as God-fearing citizens to bring about a stable and peaceful future for your country through the power of your prayers and good works. Take this time now to become involved as citizens of your country to defeat the evil one and his minions. This is a time when the sides are as clear as night and day. There are those of you who recognize the sanctity of all life, and there are those of you who are acting as the minions of the evil one and have no respect for the sanctity of life. It is difficult for you to understand how your nation can continue with such a culture of death when it comes not only to the unborn but even the newly born. The darkness and evil have become so evident that the forces of darkness are controlling the minds of so many of you, who do not recognize the sanctity of life. You may ask: how can the nation survive with such divisiveness? The answer is that your nation will not survive unless and until those of you who are the Powerful Prayerful Warriors and leaders of your country recognize that God must be returned to your government, your institutions, your schools, and to your society. 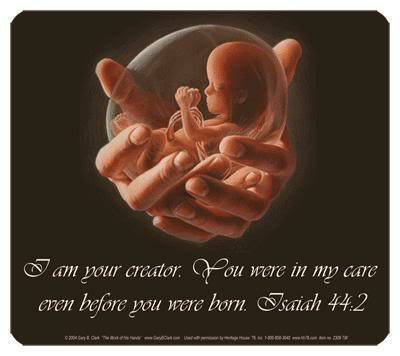 The sanctity of life must be at the forefront of your governing in the future. The carnage of the past decades, since you have become a culture of death, has created more demonic energy and evil than your civilization can bear. The time is now to turn this tide by exercising your civic duty in a way that reflects God’s plan for humanity and not the plan of the evil one. Many of you are torn between members of your own family, your friends, and your community because the evil one has entranced so many of you into believing in and promoting his demonic culture of death. You must devote yourselves individually and collectively now to wage the war, the good fight against those who are promoting a culture of evil and death. Although it will necessarily result in great problems for all of you, there is only one path for humanity and your country to take from this time forward. You must commit yourself and your energies full time now as a prayerful warrior and as a citizen inspired by God to fight the good fight against the forces of evil. Events in your country in the very near future will determine whether or not you will be successful or whether the forces of evil will take control of your country, resulting in its inevitable destruction. Nothing that you can do now is more important than to stand with your brothers and sisters in Christ and to fight against the forces of evil that are controlling so many of your brothers and sisters, who have succumbed to the covert messages of the evil one. If you have been recognizing that events in your country cannot continue in the direction that they are going as influenced by the evil one, you are correct. You must become involved now to be part of the Powerful Prayerful Warriors who are acting in response to God’s inspiration to turn the tide from the darkness of the evil one and to bring about a Great Transformation within your country as well as within the rest of the world. The Great Transformation will awaken humanity to the rule of law that the Father in Heaven has planned for humanity, and the participation of all of you as Powerful Prayerful Warriors is necessary so that your cooperation with the Father in Heaven and Your Lord and Saviour Jesus Christ will bring about the Great Transformation and a return of humanity to God’s way, leading to a New Heaven and a New Earth. All of you as brothers and sisters must stand now for what is right. If you choose to work for the Father in Heaven now, you will defeat the evil one, and his minions will be converted or suffer eternal damnation. Do what is necessary as God inspires you so that you will personally participate in the final plan of the Father in Heaven that will see you moving on to a heavenly place for all eternity.